Waldorf Chicken Salad, rotisserie chicken and crisp fruits tossed with a tangy pineapple yogurt dressing! 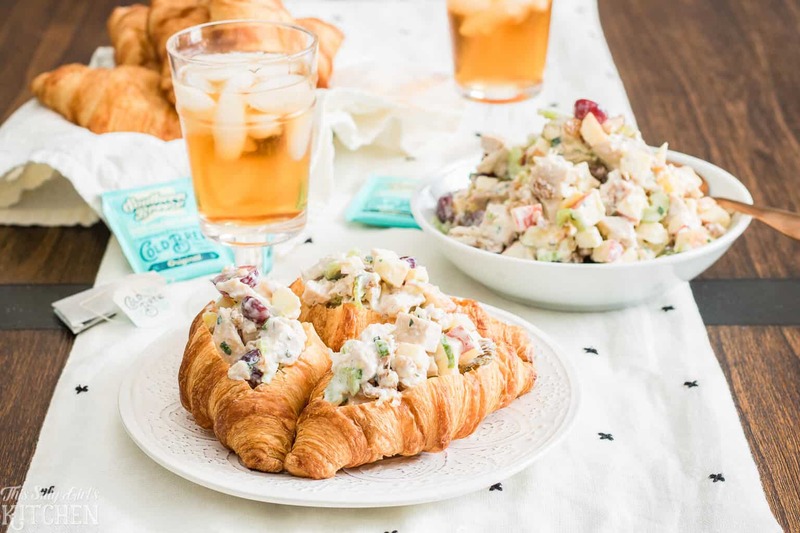 This Waldorf Chicken Salad is perfect for lunch or a get together with friends! 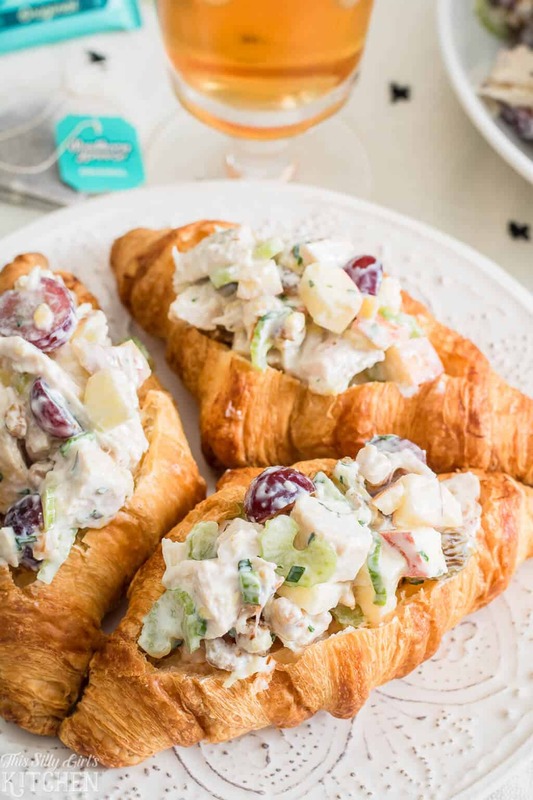 Waldorf Chicken Salad, a twist on two classic dishes! This post is sponsored by Southern Breeze, the sweet tea with zero calories, all opinions are 100% my own. Confession, I have never been a fan of Waldorf salad. I mean… it’s just weird. I think what was holding me back is the mayo with fruit situation…*shudders*. 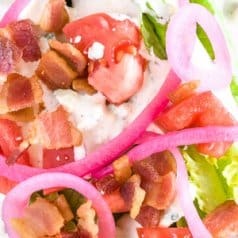 But, this recipe I made uses a sweet and tangy Greek yogurt dressing made with pineapple! 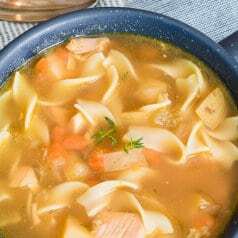 It is SO good and really adds a fun twist to the dish. I love chicken salad in all forms. It is a simple lunch that goes together in minutes and let’s face it, it’s pretty hard to mess up! An easy to make southern chicken salad recipe! It goes together in a flash as well. I always use a store bought rotisserie chicken when I make chicken salad. They are just flat out good and makes putting together the chicken salad that much easier. One thing you probably don’t know about me is that I am also a sweet tea freak. I mean… I did grow up in the south, thank you very much. Sweet tea runs through my veins. But, admittedly sweet tea can really start adding on those extra pesky calories which I don’t like. Thankfully I heard about Southern Breeze and decided to give it a try. Rotisserie Chicken Salad – YUM! 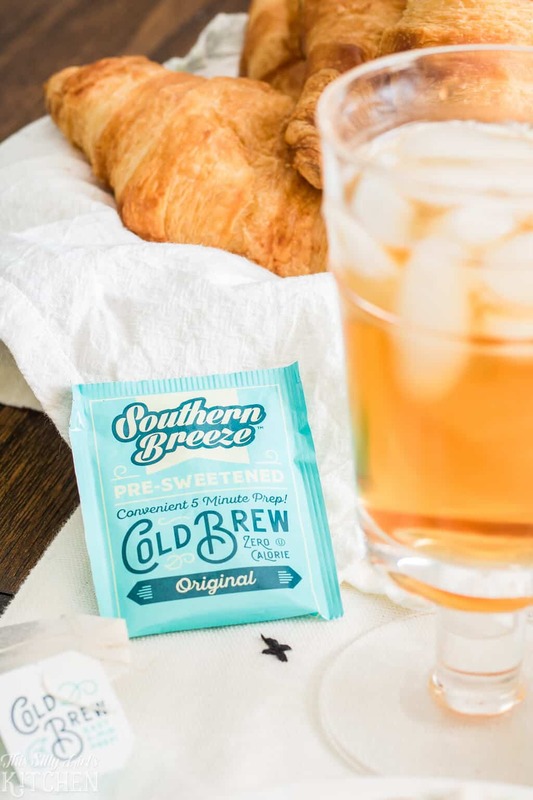 Southern Breeze is a single serve cold brew tea that’s ready in just 5 minutes. It comes in four flavors, Original, half and half, raspberry, and peach! My personal favorite is the original flavor with raspberry being a close second. I let my parents try them as well when they were down here on vacation and they fell in love! I even put together this quick timelapse so you can see how easy Southern Breeze is to make! 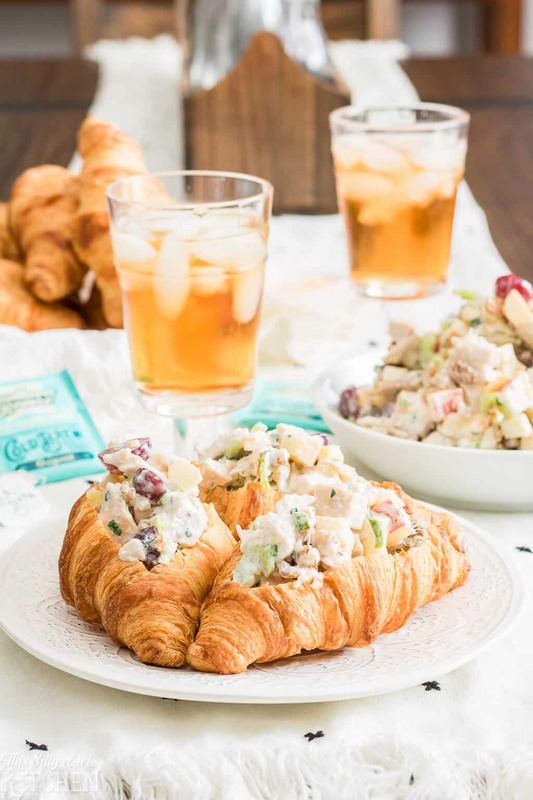 Waldorf chicken salad and a tall glass of Southern Breeze cold brew is my dream lunch. Thankfully both are so easy to make I can have it whenever I want! 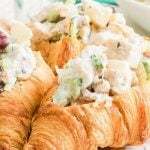 I love serving chicken salad in croissants but, feel free to eat it how ever you wish. I like to add it on top of mixed greens for more of a traditional salad as well. Cut rotisserie chicken into a medium-sized dice. 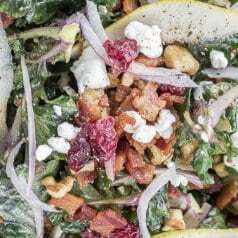 Place into a large bowl with the apple, celery, raisins, grapes, and toasted walnuts. Make the dressing by whisking together the yogurt, parsley, crushed pineapple, and scallion. Pour dressing on top of the chicken and fruit, toss to combine. Serve immediately if in a pinch or chill for at least one hour for all the flavors to combine. Enjoy! I just love the crisp apples, celery, and grapes in this salad. It really adds a nice texture. I don’t have toasted walnuts on hand, how do I toast them? Place walnuts in a small dry skillet over medium-low heat. Toss every 15 seconds or so until fragrant. Immediately take off the heat, let cool. They are now ready for your salad! And if you like this recipe make sure to check out my easy party punch, homemade french fries, and my marble oreo truffles! 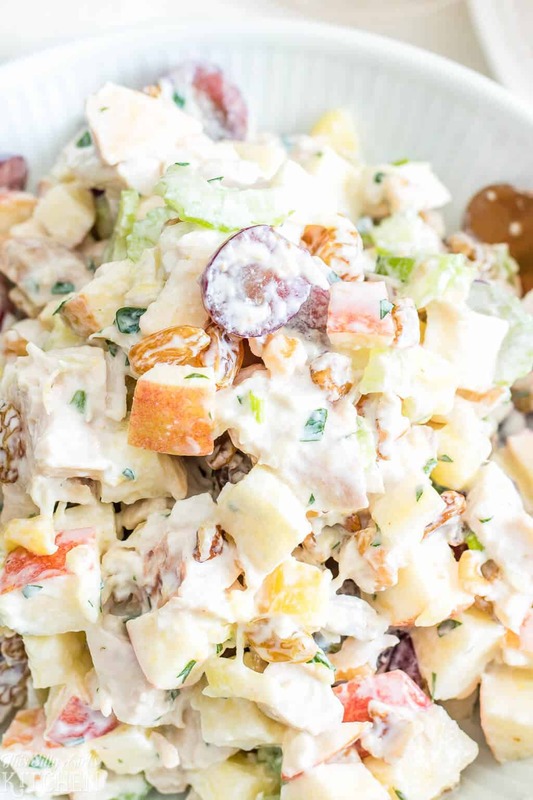 Waldorf Chicken Salad, rotisserie chicken and crisp fruits tossed with a tangy pineapple yogurt dressing! 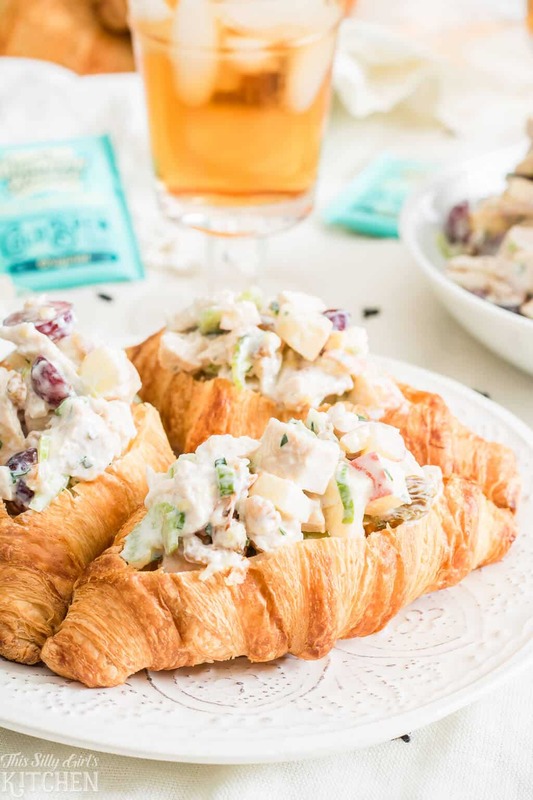 Waldorf Chicken Salad, a twist on two classic dishes! In a large bowl, add all the chicken salad ingredients. Set aside. Whisk together all of the dressing ingredients until combined. Pour dressing over salad ingredients, mix until everything is coated. Serve immediately or cover, and place in the fridge for at least one hour to chill. I looooove Waldorf chicken salad. That dressing for it sounds amazing, though – can’t wait to try it! I love the idea of using this amazing dressing instead of mayo! Soo much better!